Melody of China, founded in 1993, is the premiere Chinese ensemble of the San Francisco Bay Area. 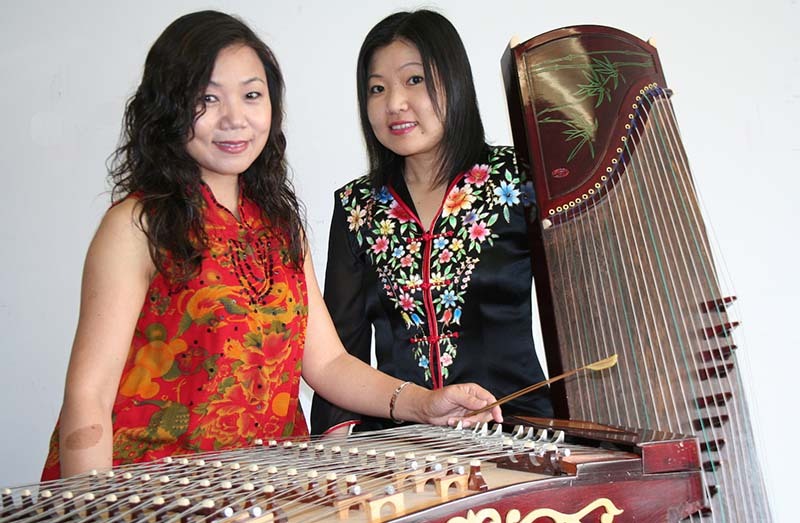 Led by Yangqin Zhao, who is named after the instrument she plays (the yangqin or Chinese hammered dulcimer), Melody of China’s repertoire consists of the wide and diverse range of music including folk songs, classical, festival music, opera, popular music from all the different parts of China, including those of ethnic minority groups, as well as contemporary collaborative work with other cultures. The musicians perform on traditional Chinese music instruments which include: yangqin (Chinese dulcimer, guzheng (Chinese table harp), the various huqins (2-stringed fiddles), pipa (Chinese lute), dizi (Chinese bamboo flute) and the sheng (mouth-blown piped organ). Music is a great communicator of Nature and Melody of China's repertoire includes music which paints the picture of Nature’s beauty and splendor. Tonight, not only will you have the marvelous opportunity to feast your eyes on the astronomical wonders of the galaxy, but also to treat your ears to the musical sound of Nature, performed by two Melody of China musicians, Yangqin Zhao and Gangqin Zhao, on the yangqin, guzheng and percussion instruments. If you listen closely, you might hear the pitter patter of falling rain on large banana leaves; splashing waves washing the soft sand on the beach; flowers dancing down to the ground to fade from existence; the moonlight kissing the lake during a warm spring night; the welcome relief of crashing thunder and heavy rain after a season of drought; hissing wind and pounding rain during a typhoon; a soothing cascading waterfall: and maybe even the soft raceful beauty of purple bamboo. Visit www.melodyofchina.org for more information. "Historical Supernovae: Past, Present, and Future"
Virginia Trimble is a native Californian and graduate of Hollywood High School (w'61), UCLA (BA 1964, physics & astronomy), and Caltech (PhD 1968, astronomy), with honorary degrees from the University of Cambridge UK (MA 1969) and the University of Valencia, Spain (dottora h.c. 2010). She is currently the oldest member of the UC Irvine department of physics and astronomy still on full active duty, though for the first 15 years, she was the only astronomer and the only woman in the department. From 1972 to 2000, she and her late husband, Joseph Weber (the inventor and builder of the first detectors for gravitational waves) shared their appointments between UCI (January to June) and the University of Maryland (July to December), which was a good solution to the two-career problem that never seems to have caught on. Trimble has participated in the governance of the American Astronomical Society, the American Physical Society, the International Astronomical Union, the International Union of Pure and Applied Physics, the Astronomical Society of the Pacific, Phi Beta Kappa, and Sigma Xi, reaching her level of incompetence somewhere around vice president. 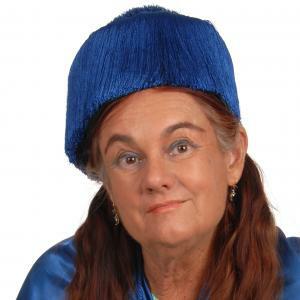 Her research loves have included white dwarfs (particularly their Einstein redshifts and X-ray emission), supernovae and their remnants (especially the Crab Nebula) and binary stars (masses and mass ratios, and are any of the components hefty enough that they must be neutron stars or black holes). More recently, much of her work has been in history of science and scientometrics. The talk planned for Lick Observatory is not the one that she has given more than 200 times (“Cosmology: Man's Place in the Universe”), but something brand new for this occasion. Her publication list topped 850 this year, most single-author, but also many book reviews. If Virginia is remembered by the time of her 100th birthday (1943), it will be for the Life Magazine article (1962), her year as Miss Twilight Zone (1963-64), and posing for Richard Feynman when he was learning to draw (1965-66). On the lecture: Astronomers use the phrase "historical supernovae" to mean stellar explosions that were seen and recorded by someone before the invention of the telescope. All were, therefore, necessarily within our own Milky Way Galaxy. There are six or eight of them, most seen first by Chinese astronomers, though there are also records from Japan, Korea, Europe and an Arab site. The last two historical supernovae were caught in Asia, but have attached to them the names of Tycho Brahe (1572) and Johannes Kepler (1604). Curiously, there have been no supernovae found within our Galaxy since the 1608 invention of telescopes, and we are definitely overdue for one! In the interim however, many hundreds of events have been discovered and studied in other galaxies, assigned types and ranges of properties, and attributed to different causes of the explosions, some nuclear and some gravitational. The supernovae 1987A (the first one seen that year) was, just barely, a naked eye event, blowing up in a nearby small galaxy, called the Large Magellanic Cloud, because Magellan was the first European to see it. Like Tycho's and Kepler's supernovae, this is an example of European dominance of astronomy from 1400 to 1850 or so. He also saw the Small Magellanic Cloud, which obviously had also been known to millions of residents of Africa, Australia, and South America for thousands of years. Whether 1987 counts as "historical" depends on how old you are. Because they are close to us, the remnants of the historical SNe yield some very impressive images, in visible light, but also in radio and X-ray wavelengths. They are obviously also trying to tell us more about supernovae in general, because, long after the explosions, we have a chance to see how much energy, rotation, and magnetic field had to be involved, whether any of the star's core is left behind, how much stuff was blown out, and what it is made of. Most stars and galaxies in the universe are made mostly of hydrogen. This is definitely not true of supernova progenitors. Indeed some contain no hydrogen at all, but only the products of a long series of nuclear reactions in their parent stars.